On Saturday Feb. 9, RBHS show choirs City Lights and Satin n’ Lace headed to Troy, MO for their first competition of the season. After weather complications cancelled the first two festivals, both performing groups only had a few shows in front of audiences to prepare for a true competition. A mix of inexperience with competition and a wave of sickness made the Troy Invitational competition tougher than it would be otherwise, junior Lindsey Smith said. Likewise, sophomore Wyatt Logan said the first two competitions were going to help the team atmosphere and spending time together improved the groups tremendously since they first began rehearsing in August. Before competition season, both City Lights and Satin n’ Lace rehearsed before school until the first week of February, and after school on Tuesdays and Thursdays. Knowing the Troy Invitational would be a tough competition, Smith said both groups took the rehearsals very seriously. Despite their hard work, neither groups placed in the Troy festival. Only six groups made it into finals and both Satin n’ Lace and City Lights competed against many groups that went to nationals last year, Smith said. Additionally, Logan said the experience from a competition can impact them for the rest of the year. With this attitude in mind, Logan said his number one hope for the next competition is that City Lights wins grand champion because of all their hard work and dedication. 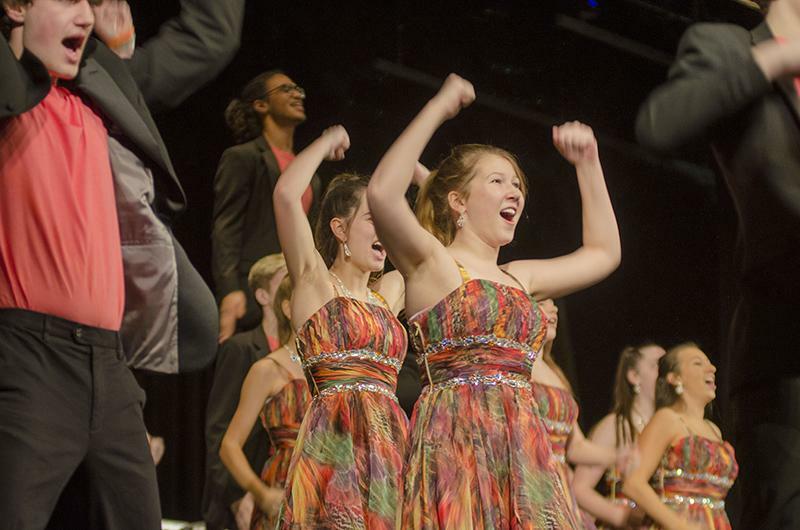 Agreeing, Smith said her hope is also to win first or grand champion, especially since both show choirs’ next competition is in Carthage, where City Lights took home grand champion last year. Looking back on the Troy competition, however, Smith said this year’s show is “10 times better” compared to last year’s. I watched the show choir’s performance today at the assembly, and it was amazing! I hope they do just as wonderful at the rest of their performances!